While enjoying your luxurious vacation rentals you’ll find many exciting activities, attractions, and Sanibel area events. No trip to South Florida is complete without sampling some of the unique local experiences you’ll encounter there. 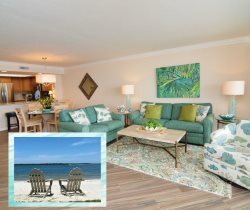 Before you travel to Resort Harbour Properties to enjoy our luxurious vacation rentals, take the time to look over some of the exciting activities, attractions, and Sanibel area events. Simply browse the selections below to find plenty of fun things to do in Sanibel Harbour, FL. Learn the steps of fermenting and distilling award winning rum each Tuesday, Thursday and Saturday at Wicked Dolphin Rum Distillery! Tours are FREE and include tastings as well. This is a truly unique experience to try locally crafted and unique spirits! Save your spot by visiting Wicked Dolphin`s website. Visit the cultural district of Ft. Myers during SoCo`s Second Saturday Arts Crawl held the second Saturday of every month. Crawl from galleries to restaurants to shops and experience a diverse myriad of cultural outlets. The cultural district is walk and family friendly, visit their website for monthly event lineups! An evening of Visual Arts Gallery Openings & more! On the first Friday of each month from 6-10 p.m. over eleven art galleries invite locals and visitors to a self-guided walking tour throughout the Downtown Fort Myers River District core and the Gardner’s Park area. Art enthusiasts can "Meet the Artists" at most of the art galleries and enjoy the live art demonstrations throughout the River District! Are you a fan of live music? Be sure to check the Sanibel and Captiva Chamber of Commerce`s "Weekly Entertainment Calendar" for a weekly schedule of the Island Beats! There is live music almost every night of the week.